Within the last few months there has been much talk within the news (BBC) as to whether flossing really is essential or not. There are arguments for and against but there does appear to be some level of consensus that flossing or some form of interdental cleaning could be more beneficial than harmful, thus most dentists will continue to advise flossing at least once a day. So to avoid a telling off and potentially becoming victim to gum disease and tooth decay getting in between your teeth is still worthwhile. 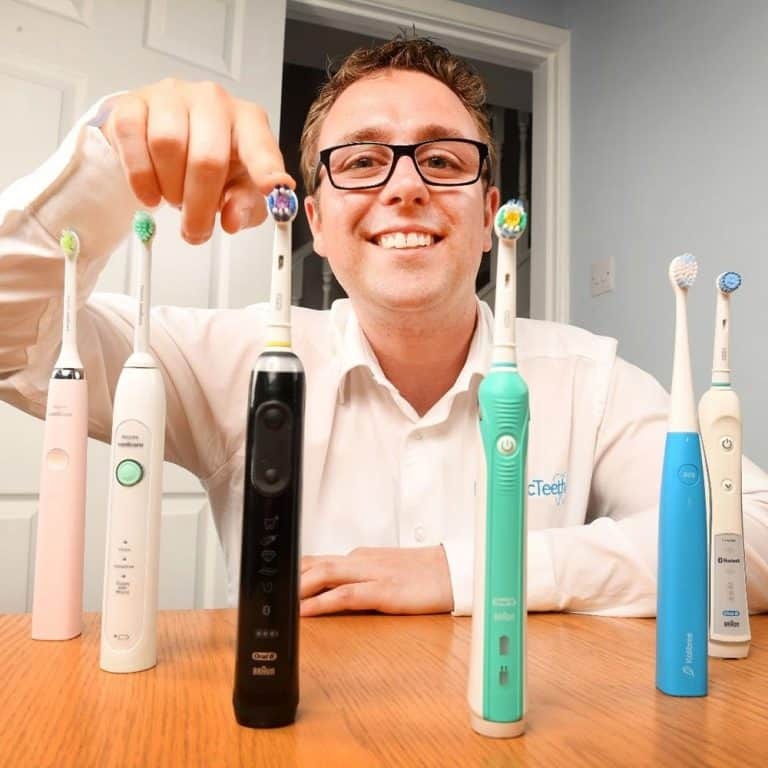 There are lots of different loss products available, so how does the Satin Tape from Oral-B fare in everyday use? Neatly packaged like most other reels of floss, the stain tape comes in a very pocketable turquoise/blue coloured plastic container. Under the lid is the tape itself that pulls out from the internal reel and a small metal cutter on the end to cut and snap the tape off when you have pulled out the desired length. Unlike string floss, this satin tape is slightly wider and feels more comfortable when wrapped around the fingers but as it glides along the tooth surface. It is more silky to the touch and offers a smoother sensation. To me it feels more like it is rubbing the tooth surface and covering more area to in turn remove more plaque, whereas the very thin string can almost feel like it is scraping. It also does not feel like it will cut into the gums as harshly, should you pull the floss a little too hard into the gumline. When in the mouth and rubbed against the teeth there is an obvious mint flavouring that can offer a renewed freshness to the mouth if all you are doing i flossing. That freshness does not last as long as most toothpastes, but it is noticeable’ for up to an hour. The tape is a pale white almost see through at times and feels strong. Throughout my testing I have not had the floss snap on me during and flossing routine. I like it and it is relatively easy to use, but I do find flossing the back teeth both top and bottom difficult with string floss, trying to get the hands and floss into the mouth and effectively clean in between the teeth. It is for me here where something like the Wisdom Flosser works better as the neck of the flosser reaches into the back of the mouth. Where floss tape really works well is getting into tight gaps that interdental brushes may struggle with. With 25m per reel of satin tape, prices vary from £1.50 to £2.10 per reel from reliable and well known sellers both online and on the high street such as Boots, Asda, Tesco and more. You can buy it now on Amazon. At the lower end of the price scale is Amazon, you can buy this here, having it delivered right to your door. Whilst there is no science behind this, I believe on average for each flossing session you will use 30cm/1ft of satin tape. This means that the 25m reel will offer approximately 83 uses with a cost per floss ranging from as little as 1-2p per use. 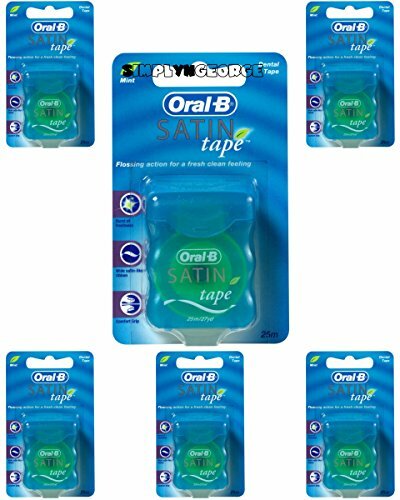 The opinion on whether flossing is essential or not is divided, you may indeed have your own view, but personally I think there is more benefit to be gained Oral-B’s satin tape provides minty fresh clean feeling in a comfortable way and at a price that is sensible to the wallet. Unlike cheaper string flosses, this tape feels more premium, like it is working with you to give you the best oral hygiene you can achieve.